It certainly doesn't sound a bad idea, does it? Especially when it involves a handsome reward at the end ! Commercial Pilots are a breed of gentlemen (and now ladies too) who fly the globe for a living. Summing up their experience in a nutshell - Commercial Pilots are a very fortunate breed of highly-skilled, knowledgeable professionals who are hired by airlines to fly and manage their multi-million dollar Jets. That's from the airline’s point of view. From the commercial pilots view, the airlines pay them silly amounts to fly these big jets, which in today's context, where technology is so very advanced, fly themselves basically! This leaves the flyer to enjoy the breath-taking scenery around the globe. It is indeed a fact that airlines remunerate Commercial Pilots handsomely. Why - because the latter want their investments (the multi-million dollar jets) in safe and reliable hands. Some young mothers are reluctant to send their sons flying! Why? The answers you would hear would be anything from; “Well, it's a dangerous job!” or “We've got only one son!”, or better still, “They get ‘exposed to matrimonial opportunities’ very early in life!” It's true! But these boys-turned-men, when they qualify and graduate from training, I'm sure have a great sense of responsibility and ability to think for themselves and work smart. This is what the wife of an experienced Capt. once said (very fondly though) of her husband, recalling the many wonderful moments they share together. Being a Commercial Pilot takes you out on long stints - true. But every employed pilot is subject to a mandatory limitation of 100 flight hours per month! So there's lots that these gentlemen and ladies who roam the skies, commanding the big jets can do in their spare time at home ! They only need to be harnessed for what is desired - be it gardening, trips with the family, quality time with the children and so on. Aviation is indeed an interestingly very happy environment for the discerning Aviator ! Today's modern jets are so sophisticated and technically advanced that they make flying an absolute pleasure - this, of course, for the skilled and knowledgeable aviator. Becoming one is a choice one makes with a great sense of dedication and passion. The first stage of training in an Aviator's training career is designed to take the pilot to a sufficient level of proficiency to hold a Private Pilot's License (PPL) which allows him / her to fly with friends and family - the first professional qualification en route to the Commercial Pilots License with Instrument rating (CPL/IR) and Airline Transport Pilot License (ATPL- Frozen). The Instrument Rating (IR) is one of the most important additions and aspects of training for the aspiring Commercial Pilot, where they undergo an intensive period of integrated training on the Simulator as well as actual aircraft. Considered with understandable apprehension by most student pilots, instrument flying is a fundamental building-block of the Commercial Pilot Training programme - a skill that allows the pilot to fly the aircraft using the cockpit instruments and with no visual reference to the outside. This is an essential and critical aspect of training and the skill has to be mastered. Completion of the CPL/IR with ATPL Frozen through a Civil Aviation Authority approved training school will have helped the pilot amass approximately 200 hrs of flight training. This qualifies him / her to take up the Multi Crew Cooperation (MCC) / Jet Transition Course - which is done on the A320 or B737 NG Simulator - a course that prepares the pilot transitioning from the aircrafts of the training environment to the Multi-Crew Commercial Jet environment. It is a qualification that is fast becoming a requirement by airlines, making the previous requirement of a Multi Engine Endorsement (MEE) obsolete, or of lesser importance. Training to be a Commercial Pilot in Sri Lanka has its many benefits. This island-paradise is a god-given haven for flight training – with over a dozen airfields nestled around the country and a diverse landscape that takes us through varying terrain over short distances, as well as some of the most picturesque landscapes and airfields needing high levels of skill to manoeuvre an airplane, combined with year-round weather conducive to flying, makes Sri Lanka one of the world's best locations to train. Airfields such as Koggala in the south (that played a vital role in the last world war) to China-Bay, Trincomalee in the east, the historic cities – Anuradhapura and Sigiriya are sights said to have been gazed upon by angels in their flight. It's no surprise that our pilots excel in their proficiency and skills in the air. It's also no surprise that Sri Lanka’s pilots – the best ones – are sought after by many foreign airlines and currently occupy the top rungs in many international airlines. Cost-wise, convenience-wise, time-wise – Sri Lanka affords Commercial Pilot training at half the cost of training anywhere else in the world and twice as fast as most countries. Today, we have some of the most renowned names in the global Aviation Industry involved in the training sector in Sri Lanka, who are here to give back to their country, in return for what they gained in their heyday. 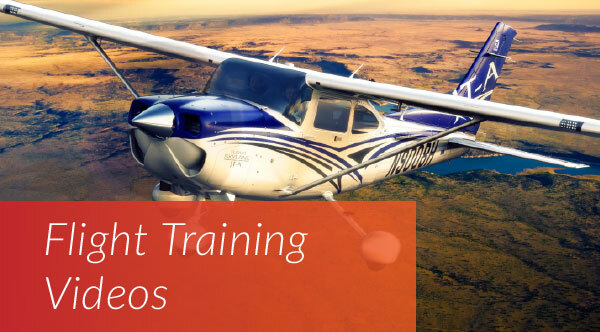 Should you aspire towards being a professional pilot, Skyline Aviation - Flight Training Academy offers you the A - Z of Aviation training. The training programmes are integrated to benefit the pilot all the way through to the jet environment and are approved by the Civil Aviation Authority of Sri Lanka. We invite you to call us today for a discussion and possible aptitude evaluation flight. Those interested in following Skyline Aviation’s Professional Piloting program for the Private Pilot Licence and Commercial Pilot Licence can contact Skyline Aviation on 0114 210 300 or 0112 635 600.